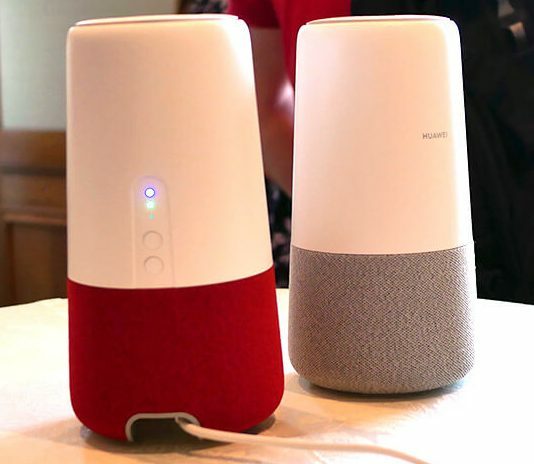 Huawei has unveiled its debut smart speaker at IFA, which is equipped with Amazon’s Alexa personal assistant and 4G connectivity. The AI Cube supports up to 300MBps download speeds via an LTE SIM. It also supports 802.11ac dual band Wi-Fi on the 2.4GHz and 5GHz frequencies. Through the Alexa software, users are able to play music, control smart home devices and access more than 50,000 services. Huawei said the device also uses its Histen audio solution, which includes the likes of virtual bass, linear phase equaliser and voice recognition from a distance. Additionally, Huawei used the IFA trade fair in Germany to launch its Kirin 980 7nm system on chip, which is said would deliver the best AI experience on smart devices.